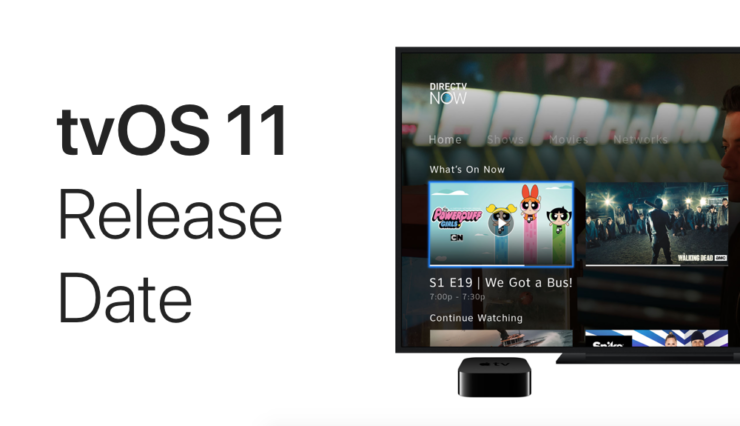 Though not as popular as other OSes from Apple, tvOS 11 now has a release date, and it is set for 19th of September. If it carries a new version number, then it’s definitely an important update, and tvOS 11 should be treated as such. Back at WWDC 2017, Apple didn’t even talk about tvOS on stage except for that the fact that it had something exciting to share with everyone in the fall. The company has stayed true to its word and has revealed a new 4K-enabled Apple TV set-top box and is powered by the company’s new tvOS 11 software. Also keep in mind that the update will be available for current Apple TV 4 users as well. This means you can enjoy its new features and elements absolutely free. If you so desire, the tvOS 11 update can either be downloaded over the air or as a separate image file for restoration using iTunes. I would suggest taking the latter route if you are craving the maximum performance related benefits of the update. Go ahead with the OTA update instead if you want to keep things as simple as possible. Any route you end up taking is absolutely your call. Apart from the final update, developers and public beta testers will get the tvOS 11 GM seed for download today. This release is essentially the final version of the software that is meant for testers only. But, you can sign up to Apple’s Beta Software Program for free if you are looking to get in on the action ahead of anyone else. I would, however, suggest waiting for the final version to arrive on the given date, which is 19th September. Why? Because there is a possibility that Apple might encounter a last-minute bug, forcing the company to release GM 2. But hey, go ahead with anything that floats your boat.